Today's students are attracted to video and readily engage in any project that incorporates the medium. Digital video is easier to manipulate and much less expensive than analog video. Students can create video content and the software can be taught in less than one hour. 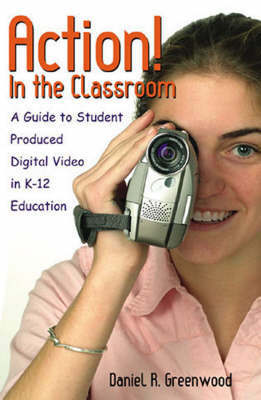 There is great potential to employ student-produced video as an educational tool and this book explains and instructs teachers how to exploit this potential. This comprehensive work, divided into four sections, covers all aspects of video production including: foundation concepts; the video production process; equipment review; and an appendix. The companion Web site offers downloadable forms used in the book and support presentation material. Features: * Up-to-date information on software and hardware for both Macintosh and Windows * Details on teaching communications skills and aesthetic education and methods for evaluation * Authentic methods and procedures used in the entertainment and video industry * Explains how the teacher can re-create a realistic video environment K-12 teachers, computer coordinators, directors of technology, librarians, and teachers-in-training, will use the information and guidance offered to teach communication aesthetics and higher-order thinking skills.